Sales are hard for big corporations, let alone small startups just getting started. But don’t worry – we’ve got your back. 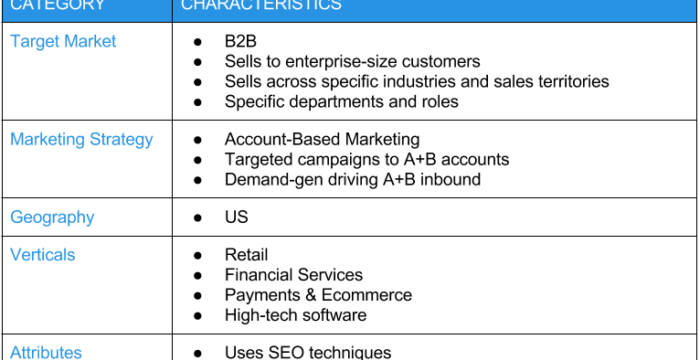 We’ve prepared a 5-step sales plan for B2B startups to help you come up with at least a basic outline to guide you. Planning your sales as a startup may be the last thing on your mind because there are so many other things to do regarding solution development, new hires, legal issues, and making sure everything runs smoothly. But how are you going to survive and grow if you don’t sell? Also, your investors will expect you to have a clear prediction about how much you can sell and earn. The best way to know this is to have a clear plan about your sales process and goals. Good news is that you don’t have to stick to your sales plan blindly, but you need to have at least a basic outline that will guide you, so you don’t forget any minor detail. 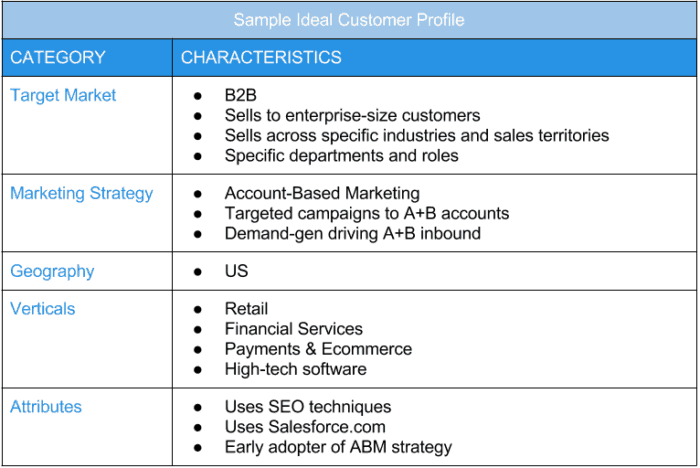 Before you start any of your sales efforts, you have to know who is your Ideal Buying Persona or Ideal Target Account. What are the companies already buying from you or the ones that are supposed to buy from you? Information that you will have to consider is the size of the company (number of employees), revenue, industry, purchasing behavior and cycles, location, etc. Try to be as specific as you can in order to waste the least possible time and budget on those that won’t convert into customers. You can do this yourself if you have time, if not, hire a lead generation agency to find those companies for you and provide contacts of decision makers within those companies. Next step for you is to set goals and know exactly what you want to achieve and during what period of time. But don’t do this before you have aligned your sales and marketing teams. If you don’t use any CRM or sales tools, consider investing in those or just start using some of the free ones (e.g. Zoho). You will need them to collect and nurture leads and then track your campaign success. Lead collecting can be done by marketing through content or by sales through sheer prospecting. If you don’t have sufficient time or can’t afford to hire sales experts, try to outsource your lead generation to a freelancer or a specialized agency because you won’t be able to sell without it. Or you will, but expect to make a chaos out of your life at the same time. 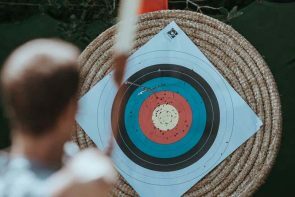 Plus, a good B2B lead generation agency can get you hand-picked highly targeted contacts that you probably wouldn’t be able to find yourself. Decide how much leads marketing is going to collect, how much content they are going to create and how are they going to nurture those leads. Sales will provide marketing with input on most interesting topics for certain companies so that they can focus on quality instead of quantity. Sales will also determine its own quarterly and yearly quotas that need to be met in order to achieve the desired goal. However, pay attention not to make these common lead generation mistakes. Now that you know exactly who your customer is, do a little research in order to find out what kind of content you need to produce. If you already have a sales team and a customer support, they can give you valuable information about questions that prospects and customers usually ask. Determine your prospect’s pain points and goals and focus on them while creating content. Try to make your content in a form of an answer to their troubles. Your content can consist of blogs, downloadables (eBooks, whitepaper, cheat sheets, etc. ), webinars or videos. Research what kind of content your customers usually consume and focus on that. For example, when targeting B2B companies we always recommend sharing your knowledge in form of an eBook or a webinar, where prospects can ask a multitude of questions right away. Of course, you will need to determine the budget necessary in order to produce and promote your content i.e. get in front of your prospects. Once you have created content, you need to promote it. There are several options, but we always suggest going where your customer spends most of its time and searches for information. Especially if you don’t have enough resources to cover all promotional channel, focus on the ones that show the best results after your first sales efforts. Email – Email is still an excellent way to promote your business and share your content. Learn how to craft perfect sales emails that will appeal to your customers and use your content in your nurturing flow. Social Media – Facebook, Twitter, Instagram, Quora, LinkedIn, Youtube are all channels that can be used to promote your business. LinkedIn is considered most useful in B2B sales, but if you are creative enough all social media can work for you. For example, you may think that Twitter would be perfect for B2B sales, but after a while, you may notice that YouTube is bringing you far more leads and conversions. Social Media ads can be a good way of reaching a wider audience with relatively low budget and as of recently can even be used for lead generation. SEO and AdWords – Getting a little help from our friend Google is never a bad thing. Research keywords relevant for your industry and solution and try to position yourself as high on Google search as possible. But, you know what they say – the best place to hide a dead body is on page two of Google. Native Advertising – Latest of the marketing’s trinkets is native advertising i.e. promoting your content on other blogs through various NA providers (Taboola, NetLine, etc.). It can be used for lead generation as well and if you are positioned on websites that your prospects usually visit – you will not go unnoticed. After your first sales campaign, you will already have a clearer picture of who your customers are, what they want to see and read about and what sells best. Use that information to improve the content that has best results, invest more money in ads that have best results and stop spending money where there is a poor response. Measure your Cost Per Lead (CPL) and see which ones are the cheapest and which ones are bringing you best customers because those two are not necessarily related. Measure your Cost Per Acquisition (CPA) and see how much you invested and how much customers and revenue you earned. After a while, you will have a clear insight into how much you should pay for ads, how much you should spend on content and what are the channels that work best for you. As you can see your sales plan will change a lot, during the process itself and after the campaign is done. Luckily with latest sales tools you can tweak your campaigns anytime, measure and optimise. Whatever you do – don’t be stingy with your money. Gartner published that in 2016, companies spent up to 12% of their revenue on marketing and sales, so keep that in mind whenever you are deciding on a budget. Don’t expect anything to go fast. It will take time for you to understand what is it that your prospects and potential customers need and what is the best way to offer your solution to them. It will take time to make SEO work, to gather followers on social media and create content.